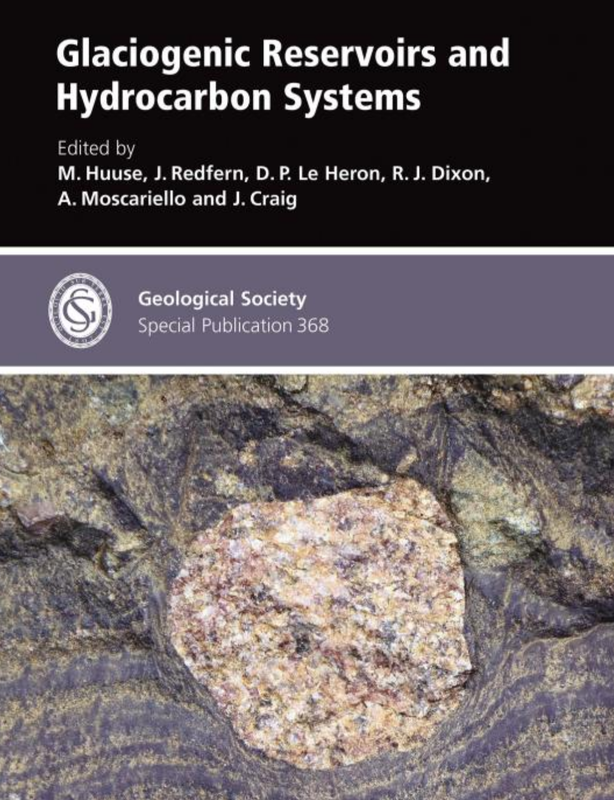 Glaciogenic Reservoirs and Hydrocarbon Systems (2012): This Special Publication of the Geological Society of London, provides new insights on glaciogenic reservoirs which are typically characterized by high lateral and vertical heterogeneity . Examples from Quaternary analogues can therefore be very useful to help understanding the sedimentary processes and resulting architecture of these accumulation. This in turn can help to predict their reservoir properties. In this SP, 2 key papers issued from the GRASP consortium have been published (Moreau et al. 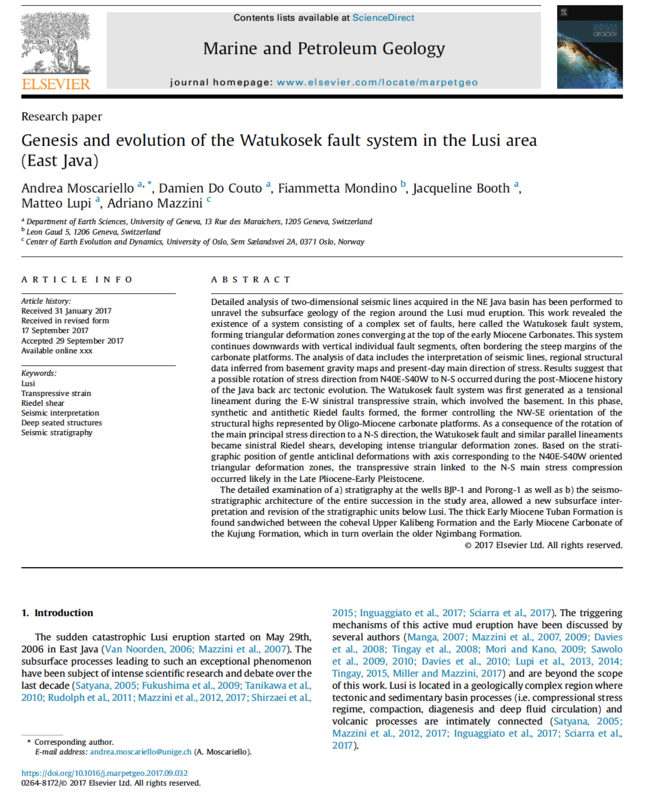 and Van der Vegt et al.,). 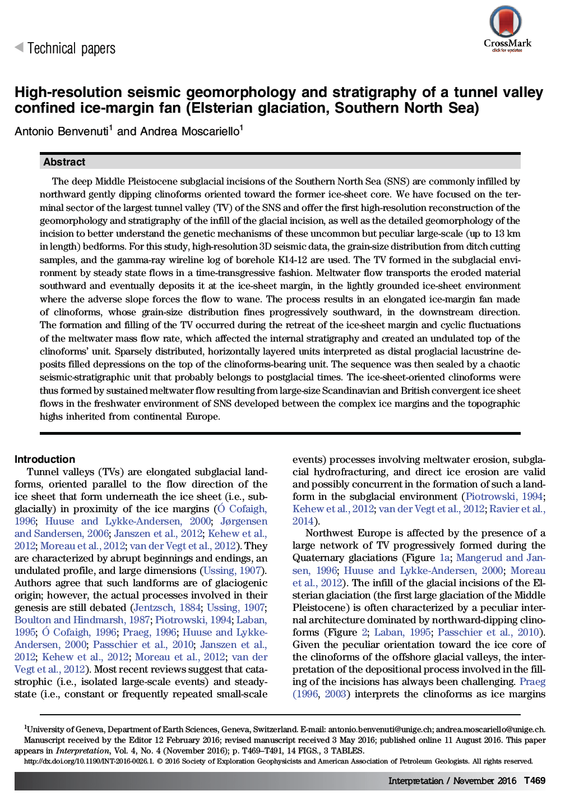 This research has been followed recently by a new article by Benvenuti and Moscariello 2016 which provide more details on the internal architecture and process on the largest glacial tunnel valley of the southern North Sea. 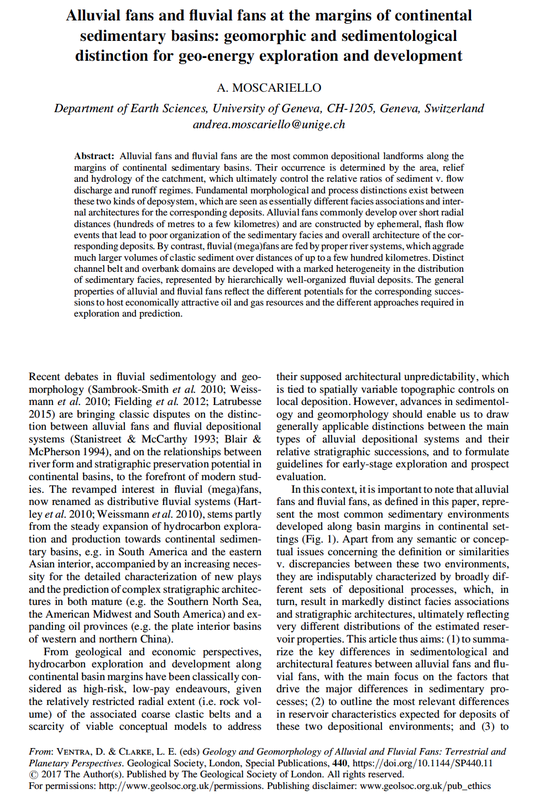 A new article on the importance of distinguishing fluvial fans and alluvial fans from a geo-energy perspective has been published online by the Geological Society of London SP 440.